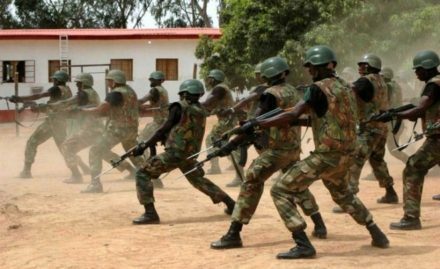 According to a letter published on the BBC news website, Nigerian soldiers are now expected to learn local languages in order to improve relations with the population and mend bridges. 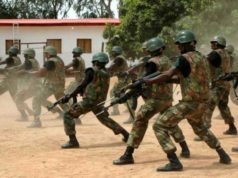 The editor-in-chief of Nigeria’s Daily Trust newspaper, Mannir Dan Ali, in his article highlights that the new regulation gives serving soldiers one year to learn to speak Nigeria’s three main languages – Hausa, Igbo and Yoruba. The three Nigerian languages represent the three dominant ethnic groups in the country. Evidently, the army does not expect all their soldiers to become fluent but expects a certified level of proficiency in order to pay out bonuses. The idea behind encouraging language learning is to help soldiers to carry out their duties more effectively and earn the trust of the communities in which they work. The regulation also seems to be rooted in the challenges the military is currently encountering as it continues to be called upon to assist the police in handling law-and-order situations across the nations 36 states. Although English is the official language of the military, Pidgin English is commonly used by soldiers from different areas to allow them to communicate. Critics of the new measure also say that it may be counter-productive to lay emphasis on learning more languages when the army should focus more on training, strategy and tactics to actually contain these problems. Others also point out that 3 languages ignores the many other languages in Nigeria such as Kanuri, the language of Boko Haram which has been behind numerous terrorist attacks.